How Forensic Accounting in Fraud Examination is Helping Corporate Governance? According to the most basic definition, forensic accounting deals with all the financial information liable to legal reviews. Information about economic transactions, accounting systems, bills and payments, returns and payrolls etc. is gathered, compiled, and a conclusive report is developed on the basis of these findings. All the accountants can undertake this responsibility but, due to increasing trends in the international market, the certified forensic accountants and fraud examiners are preferred over ordinary ones for the job. Forensic accounting is a sure short way of improving governance in the corporate world. This is because it will help businesses manage transparent practices, as a result of which we will get to see an ethical marketplace. With strict valuations undertaken by forensic accountants, numbers of fraudulent activities from within the organizations have reduced up to a significant level. There aren’t many companies which haven’t had to face the menace of internal frauds. Since, this process is inevitable, therefore corporations want efficient and effective ways with which they can wipe out corrupt individuals thriving inside them. 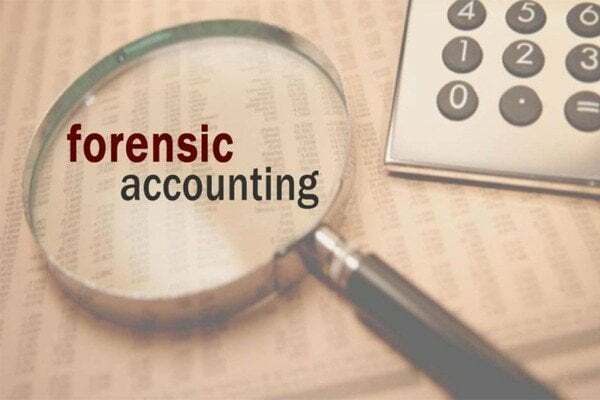 With forensic accounting you can dig deep into financial information of a company and help yourself in pointing out its malfunctioning facets. As a result, you can subtly wipe out all the fraudulent individuals. Forensic accountants are trained professionals and with simple review of the company’s account details, they can judge the spot from where investigation should be started. They are able to implement intricate practices to anticipate criminal activities within an organization, taking over traditional accountant processes. The practice and skills required to take on these activities are beyond ordinary. You have to develop sharp interpersonal and intrapersonal skills to become a competent forensic accountant. Forensic accountant deals with the fact finding, report making, and interpretational parts of the fraud examination. As we know that forensic accounting helps us analyze situations and generate reports which are liable to legal reviews; the reports can form the basis of discussion in a court. Not only the basis of discussion, but forensic accounting reports can be submitted as evidence and thus can help in dispute settlement as well. Forensic accounting technique is a preventive measure which companies are largely adopting to save themselves from any possible fraudulent activities in future. It is a risk management tactic helping businesses improve governance and lower the risks of internal frauds.